We, Malaysians love our rice. For many, it is virtually impossible to go through an entire day without having at least one rice meal. In the past, the only option Malaysians had was white rice. But approximately two decades ago we were told that white rice was unfavourable due to the refining process that removes most of the nutrients and fiber. So the health conscious Malaysian started to introduce brown rice as a healthier alternative. And then with the rise of the health food phenomenon, we started to open up to wholegrain alternatives such as barley, oats, red rice, wild rice and flaxseed. The latest kid on the block, which has only recently made its debut in health food stores around Malaysia is Quinoa (pronounced keen-wah). Originating from the Andes mountains of South America since as early as 3,000 BC, it was a staple food for the local natives and still remains so today for their rural descendants. Although resembling the cooking characteristics of a grain, the Quinoa is not a real grain, but the seed of a leafy plant, closely related to spinach and beets. This richly nutritious and versatile seed boasts many benefits that would appeal to all supporters of natural foods diets. 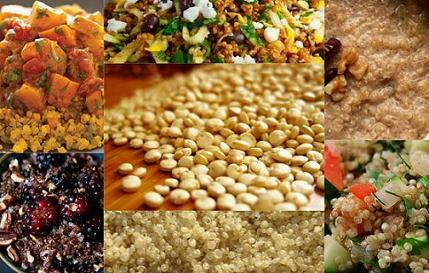 Here are the top reasons to eat Quinoa. There are so many ways to relish the nutty and flavourful Quinoa. It is wonderful cooked in casseroles, soups and stews, provides a nice accompaniment to stir-fries, can be transformed into a hearty breakfast porridge or be tossed together with fresh garden greens to form a crunchy cold salad. Learn how to cook this fluffy and light rice replacement, the miracle ingredient for a fitter and healthier you.